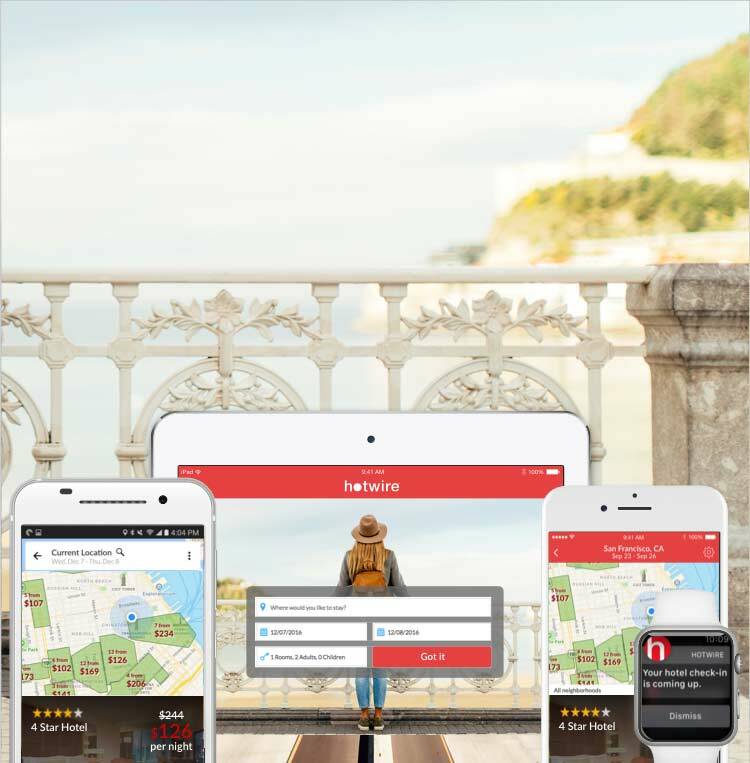 Get more out of your trips when you travel with Hotwire. Fast, easy access to your itinerary on the go. Check out fast with Apple Pay, Touch ID or Google Smart Lock. Exclusive mobile only rates for hotels and cars.